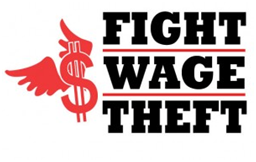 August 28, 2015 (San Diego)--Speaker of the Assembly Toni Atkins (D-San Diego) along with California Labor Commissioner Julie Su and local leaders will host a “Fair Day’s Pay” town hall with San Diego workers on Saturday, August 29 from 10 a.m. to 12 noon. The forum will spotlight how wage theft denies workers the opportunity to participate in the American Dream and leaves families in poverty. The forum comes after a joint study by San Diego State University and the Center on Policy Initiatives found persuasive evidence of wage theft throughout San Diego’s food industry, with more than three-quarters (77%) of workers reporting having been victims of wage theft during the past year and a third saying theft from their paychecks occurs regularly. Wage theft plagues workers in many other low-wage industries, and adds up to billions drained from California’s economy each year.